Established in 1666, Lund University has a long and vibrant history of world-class teaching, research excellence, student influence and alumni success. The University is a member of the international research-intensive university networks LERU and Universitas 21 (U21). Lund offers low tuition fees and living costs as compared to other similarly rank universities and countries. 90% of the population speaks English which allows students to communicate without any language barriers. Lund University is ranked 93rd in the world and 3rd in Sweden by the Times Higher Education World University Rankings 2018. The University is rated 92nd in the world in the 2019 QS World University Rankings. 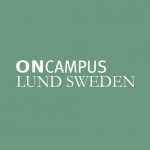 Lund University is awarded the safest campus in Sweden (Security Awards 2015 and 2016, Skydd och Säkerhet). Ultrasound, dialysis and Bluetooth are revolutionary discoveries that have their roots in research at Lund. Academically, the University’s Strength lies in Geography (16th), Development Studies (28th), Environmental Sciences (33rd) and Nursing (44th). Lund University Global Scholarship Programme - Proven record of achieving consistently high grades in their previous studies and are assessed as being a good fit for our programmes. Selective, competitive and merit-based. Google Anita Borg Scholarship - open to female candidates enrolled in full-time studies at a university in Europe in the following fields: computer science, computer engineering, informatics or a related technical field. The Gen Foundation - Provides grants to postgraduate students from all backgrounds who study natural science, in particular food science/food technology.